Since its first exhibition in 2008 the Kuandu Biennale assembles the solo exhibitions of ten artists from different countries throughout Asia to intersect and construct a chapter in contemporary art that belongs solely to Asia. Simultaneously, in accordance with the academic orientation of university art museums, Kuandu Museum of Fine Arts has planned “Asian Contemporary Art Forum”, creating a platform for dialogue that meets the methods of a non-Western style of Asian contemporary art. It is the hope that this platform created by the Kuandu Biennale links together artists, curators, art critics, art spaces, and other art communities and exhibition mechanisms into a multi-cultural system comprised of various Asian nationalities. With an intimate and pragmatic approach, it materializes a communication network that features a “multi-directional dialogue” for Asian contemporary art, and further promotes an opportunity for cooperation amongst its various disciplines. The Kuandu Biennale 2014 invites 10 pairs of artist and curator from different countries in the regions of Asia, presenting a distinctive world woven by their respective cultural backgrounds and aesthetic horizons. 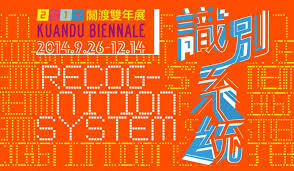 Kuandu Biennale 2014: Recognition System. 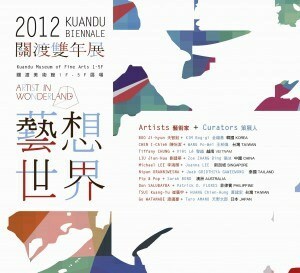 Kuandu Biennale 2012: Artist in Wonderland.